Preuilly sur Claise has it's own artist! Or at least it did for a while. Jean Dufy was born in Le Havre in 1888, and in 1922 married Ismerie Coutut, who was born in Preuilly. 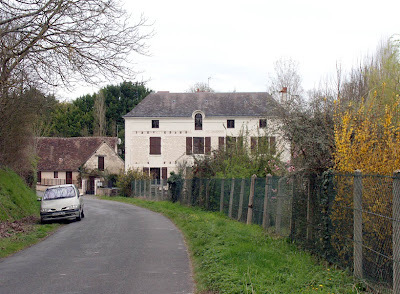 The moved to Preuilly in 1939 and appear to have stayed there until 1948, when they bought a house in La Boissiere, a hamlet of Boussay. He lived there until his death in 1964. 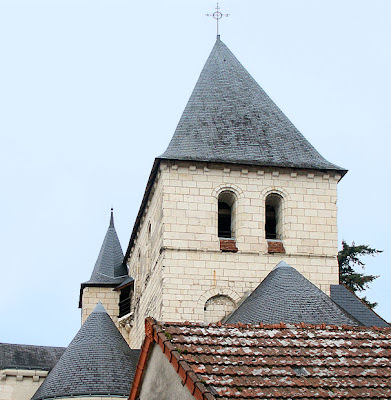 Both Jean Dufy and his wife are buried in Boussay. Although I am not a huge fan of this style of painting, it would be nice to have a good print of one of his Preuilly sur Claise paintings in the house. So far the only print I can find is a painting of a vase of flowers. 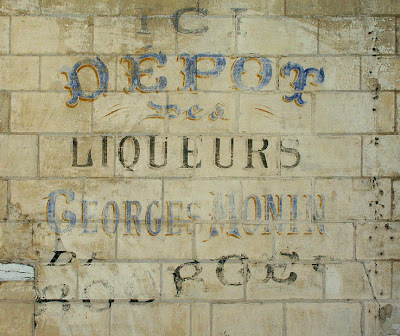 You still see adverts painted onto walls in France. It is one of those things that make it France, in my mind at least. I don't think there are any new ones, but plenty remain visible. 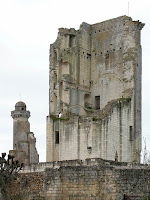 This one is on a wall in Loches. Google Maps is getting to be real fun - and easily usable. I have created a mashup which shows some of the notable buildings and a couple of the views in Preuilly. Just click on this link and it will open Google Maps in a new window, complete with clickable place markers. 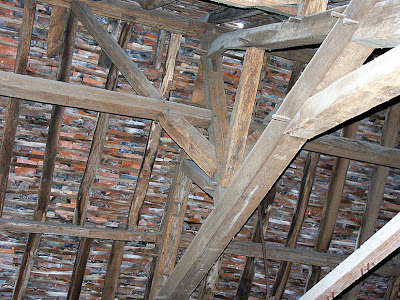 As we await the arrival of M.Galland I am becoming fixated with roofs. There are some beautiful roofs in France. This one is in La Guerche. Many villages (and a lot of towns as well) still keep their lavoirs - the communal wash-house (laundry). This one in Etableau is on the smallest stream we have so far seen used for this purpose. 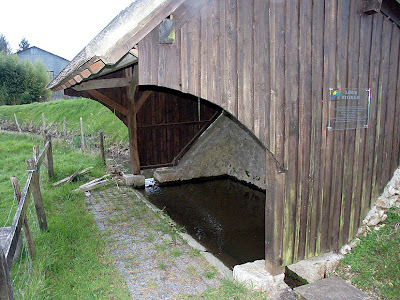 A Mill typical of the kind we have around Preuilly. 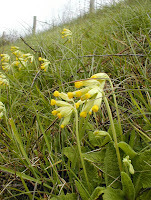 This one is on the road between Preuilly and Chaumussay. This was a long standing planned trip, partly in order to try put a little pressure on M.Galland (the roofer) to start soon. We had booked on SpeedFerries, leaving on their first sailing of the new season. On the Monday before we left we received an email saying that the start of service had to be delayed, so we had to make alternate arrangements. Luckily I was able to book a ticket with Norfolk Lines, which is a longer journey (2 hours to Dunkerque, which also adds the best part of an hour to the drive) so all was not lost. 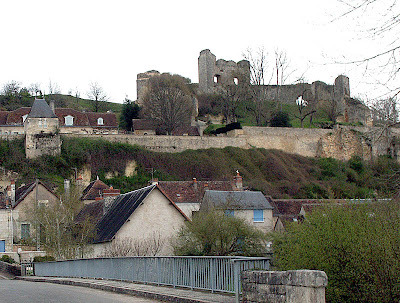 The amended booking meant that we had to leave home at 3.30am in order to make our 6.00am sailing from Dover, which meant that by the time we arrived in Preuilly we had been on the road for 13 hours including a diversion through Rouen, a town which appears to have me totally jinxed. Our first port of call was M. Bertucelli to check on the plumbing works, which we were assured were complete. 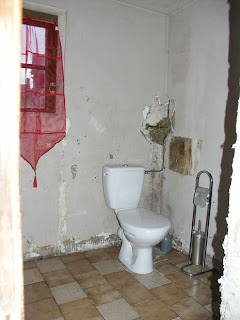 This caused us to rush to the house, as the thought of having our own toilet was very exciting. Arriving at the house, first port of call was to wonder at the new technology - a flushing WC. We flushed, and the cistern didn't fill up. I turned on the stopcock inside the house (which made no difference) so we moved outside to the external stopcock. This is a metre under a metal plate in the middle of our neighbour's driveway. I leaned into the hole to turn the water on......... and my mobile phone and hankie dropped out of my pocket into 6 inches of muddy water. I don't know if it was the sacrifice of my phone that caused the water to flow (could have been turning the tap on) but we now have tapwater and a flushing WC. Excellent!! 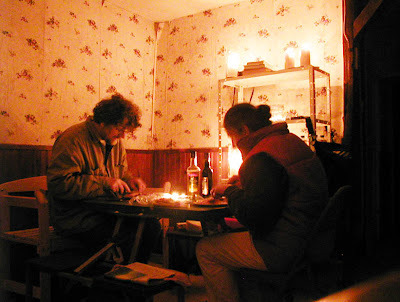 We had our first dinner together in the house, Vegetable soup, followed by bacon and beans and pastries for dessert. We weren't exactly warm, but the heater took the edge of what was to be a cold night. It rained during the night, which meant our slumbers were accompanied by the sound of dripping water, but at least none of it entered the room we were sleeping in. 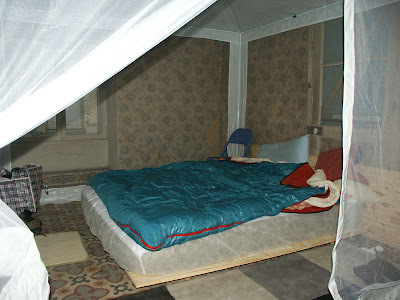 We did decided, however, that we would erect our picnic tent/gazebo thing in the front room, and put the bed in there. This would provide us with a waterproof roof, and a lot more room so we could set up washing facilities. It also means that we can have our clothing in the same room we sleep in, making inter-room dashes in the cold unnecessary. Friday was occupied with cleaning the front room, setting up the tent, moving the bed, putting a curtain over the space a door would normally occupy (and will, one day, occupy again). We also found time to visit M.Galland, the bank and the supermarket (and the hardware store). This set the pattern for the weekend - cleaning, visiting hardware stores, and plotting how we will proceed with the work. The only real diversion came on Saturday, when we met the man from the dechetterie (the local dump, although it's more of a transfer station) whom our neighbours had organised to remove the piles of cuttings from our garden. 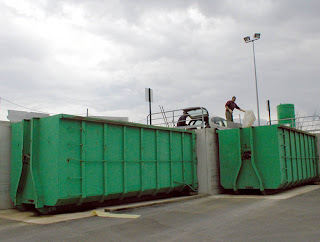 He took a trailer of clippings to the tip, and we followed. He explained the system to us, and we trotted off to collect our own carload of stuff to junk. Most of it was "mixte", but we did have some glass, wood and cardboard which went in their respective skips, as did the old paintbrush cleaning mixture. As they say in the area; "Au pays de Descartes, je pense, donc je trie" (In the land of Descartes, I think, therefore I sort). We also saw a different view of the chateau at le Grande Pressigny, which makes it look like a cutaway from a Richard Scarry book. Although it sometimes feels like we aren't progressing with the house, it is coming on peu en peu and we are getting a lot better idea of what it is we want to do with it, which is a lot better than acting before you've decided! !